I recently presented at the Ontario Universities Computing Conference 2012. If you’re interested in great open-source projects and learning management systems, Instructure Canvas (CV edition) is a great place to start. 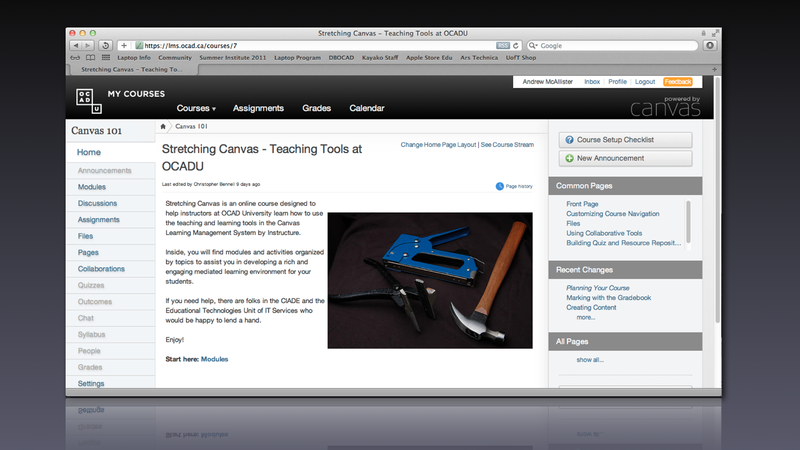 Learn about OCAD University’s innovative adoption of Canvas, the simple, open-source LMS from Instructure. Through user testing we learned that social features, excellent user-experience and usability all make Canvas the choice to beat in the open-source arena. In this presentation we’ll do a deep dive on the features, course pilots and design, and technical aspects of running your own Canvas install. Presented with Christopher Bennell, Faculty IT Support Technician.